Do you wish to change the settings of your wireless router? Do you wish to change the password to your wireless router? Then you need to configure wireless router using its default IP address. Let us learn how to configure wireless router using 192.168.1.1. It is very simple to configure a wireless router. 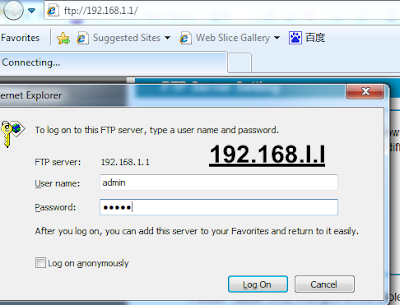 Let us have a look at the procedure to configure wireless router using 192.168.1.1. 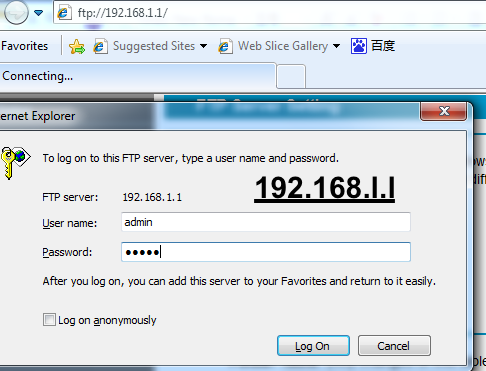 Open the browser on your computer and enter the default IP address 192.168.1.1. The router admin page will open and ask you to enter the default username and password. The default username and password is usually admin/admin, admin/blank, blank/blank. Now go to the Wireless/Wireless Setup page and select Wireless section or the Wireless Security section. Here, you can change the SSID or name of your wireless router. Change it to a name that allows you to identify your network from the others. Now, select the Wireless Security as WPA2 or WPA-Personal. Search for a box called as ‘Password’, ‘Passphrase’ or ‘Shared Key’. This is very important, as it will prevent any unauthorized user from using your Internet. Choose a password that is 8 characters long with uppercase, lowercase, number, special characters, etc. Never use any personal information that can be easily guessed like your birthdate or surname, etc. Click on Save settings and save the changes you made. This is all you need to do to configure your wireless router using 192.168.1.1. Just follow the simple steps and you will be able to customize the settings as per your needs. I have been having problems on login to my account or the account. I don't know why such is happening. I d normal way which is, admin. But always saying wrong password. but still it says: Username or password error, try again. سجل مسلى admin. Pasworrd admin . The password i type in my device always says wrong password. Can you help me recover? I entered the IP address but no login window popped up. Only web links . what may I be missing doing on my part? I really need to change my WiFi password and UN asap. Thanks! I have reset my moden now i want to connect to wireless D-link network but i do not know what the factory password is? when i give the ip 192.168.1.1 in bar then show the messege. "Welcome to nginx! Thank you for using nginx." My wifi is'nt working ..also I can't login my IP ..can you help? !